‘Tis the Christmas season and I suppose that most people would want to write about a sparkling wine to coincide with the celebrations. It makes sense, but since I am not ‘most people’, and as this is conjointly known as the silly season, I drank a delightfully fresh red wine instead. So shoot me. 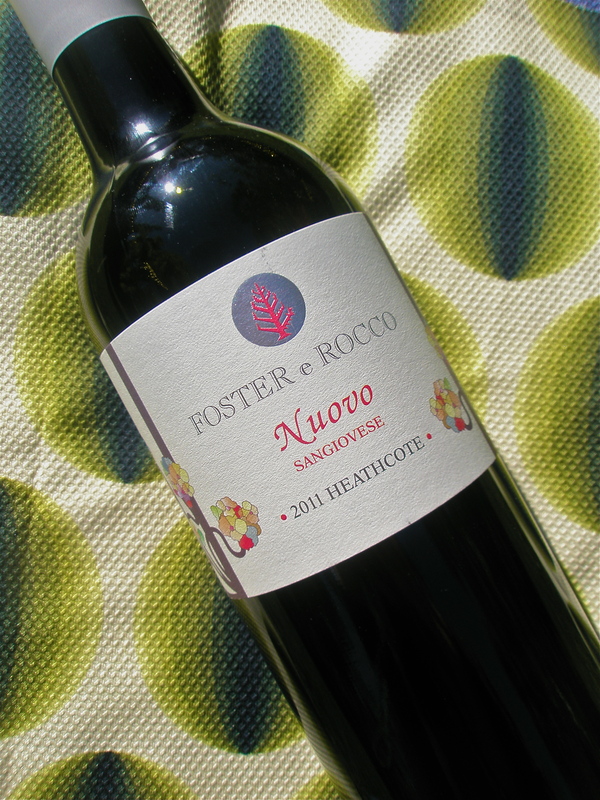 The choice was far from preposterous, mind you, as this is Foster e Rocco’s ‘Nuovo‘ (new) Sangiovese and one that I can so cleverly link to the ‘New’ Year. Geddit? Boom! The winemaking team of Adam Foster and Lincoln ‘Rocco’ Riley use old methods of foot stomping in the winery for this batch, but the Beaujolais style of this wine creates one of the freshest, new reds that you will find on the marketplace. It was made in 2011 and I believe that we are still in the year 2011. A red wine such as this, bottled and released so early in its youth, promotes the über quaffable style of Sangiovese with the identifiable black cherry and red liquorice flavours without any tannins inhibiting your quaffing pleasure. Should you prefer to stick to the sparkling wine option for New Years celebrations, at least use this flower-adorned label as an offering the next time that you pop over for dinner. There is nothing more that a lady will not love than flowers and wine, especially if you combine it all in one. 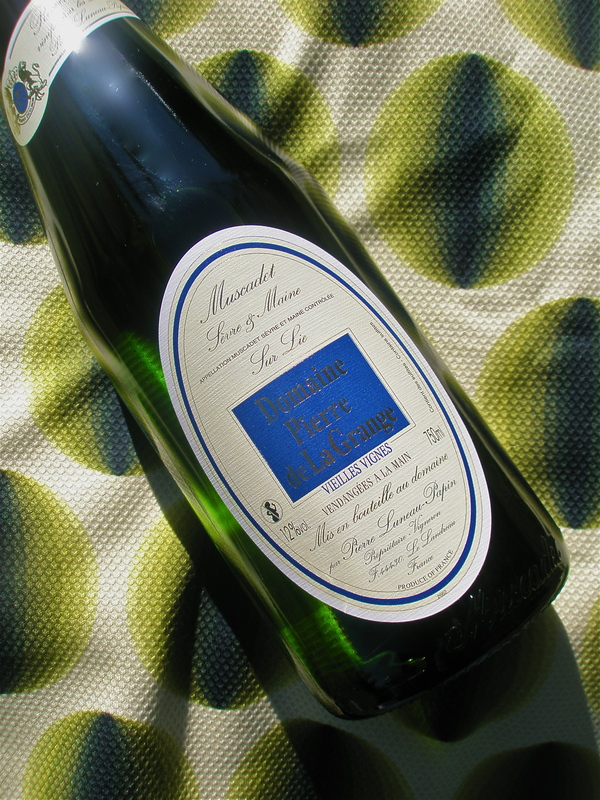 A friend once told me that Muscadet is an occasion wine. Having heard that, I went about and created an occasion by inviting said friend over for dinner. He may have been referring to its desirable food match as the perfect occasion in which to drink this wine, but I chose to ignore that part. The Muscadet style is said to be the perfect oyster wine, but I like to be a little unconventional and opted to cook with something way out there. Oh yes. I’m referring to your pungent friend, the anchovy. There was method to my madness. The salty sea fish flavour of the anchovies matched a beauty and accentuated the flinty, lemony flavours in the wine. One thing that I enjoy about drinking wine with others is getting to hear their thoughts on what the smell, taste or texture of the wine reminds them of. Sometimes, it can be completely outside of the box, but they tend to be the most entertaining whether you agree with them or not. For example, when I inquired to my friend as to his opinion on the bottle before us, he mentioned how the texture was akin to licking a green frog. So pretty much he was describing the texture as slippery and wet, and either accidentally confessing to having done such an act, or possibly divulging his Prince Charming fantasy. For myself, drinking this Muscadet brought me back to my days in the high school orchestra (I write this secure in the knowledge that I never once attended Band Camp) where I was seated next to the trumpets and trombones. In essence, I was really digging the rich, brassy, yeasty characters that had been derived from the sur lie, or on lees, action that these wines are noted for. By all means, I could have stuck to the classic food and wine pairing, but it turned out to be more playful to venture within a similar food group and explore the sensory sensations that evolved when the two were mixed together. Green frogs and all. This Alto Adige wine from the northernmost region in Italy was brought along to a fabulous dinner at Sosta Cucina in North Melbourne. Pinot Bianco wines are generally versatile because they themselves tend to be less perfumed so as to not overpower the food, plus have consistently good acidity and texture to suit a range of dishes from fish to Thai to curry to risotto. That night it was paired to linguine with blue swimmer crab coated in extra virgin olive oil, garlic, parsley, golden breadcrumbs and bottarga. Now that is one fishy dish. You are not mistaken if you thought that the name Franz Haas sounded less Italian and more of German or Austrian origin. Ja ja ja, this region borders onto Austria and you would be hard-pressed to find someone that does not speak both languages. The grape varieties they tend to use are also ones that can easily cross over between the two countries with their high altitude vineyards. 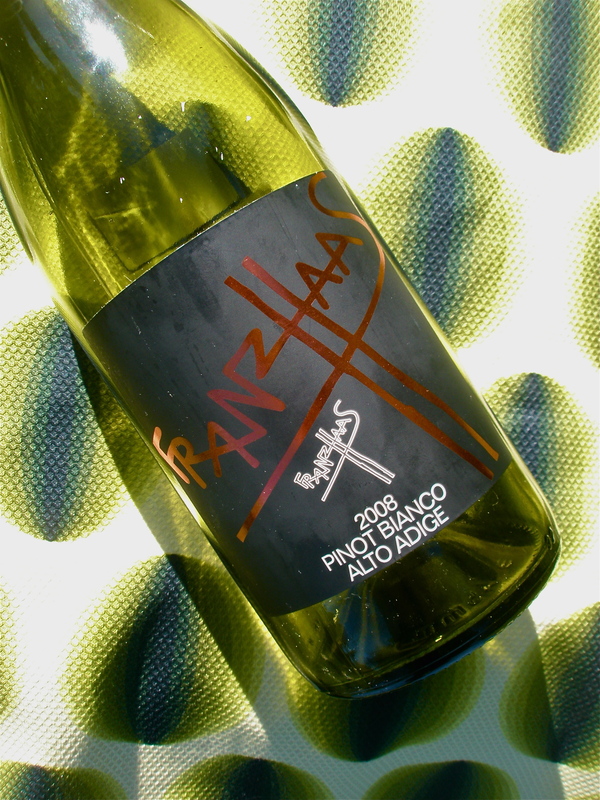 The Pinot Bianco in this case has been mostly fermented in a steel tank with the remainder in small oak barrels. Normally more crisp and flavoured in the ripe apple spectrum in its immediate youth, the 2008 had become a little richer with less overt acidity and white fleshed fruits, but more crunchy bread and sweet yellow flower characteristics in its place. Apart from the basic German that I recall from my Year 7 heydays, I can now not only proclaim that, ‘Das ist meine hamburger‘ (that is my hamburger), but also that the wine was unquestionably ‘sehr gut‘ (very good).